Will Patanjali Ayurved be able to sustain its exponential growth? Yoga Guru Baba Ramdev's brainchild, Patanjali Ayurved, consistently manages to grab headlines. It was only recently that the company's MD Acharya Balkrishna had spurned the interest shown by luxury brand LVMH's private equity fund, L. Catterton, in Patanjali. He had commented that they will never sell stake to a foreign company. The Ramdev-Balkrishna duo have always referred to their enterprise as swadeshi and have openly expressed their opposition to multinational corporations. Barely a week later, the flamboyant yoga guru announced that Patanjali Ayurved will be turned into a non-profit charitable trust and all the revenue and profit it generates would be used for charity. Ramdev is known to have clearly stated to his associates that the reins of Patanjali can be passed on only to a sanyasi. "Turnover and profits have never been our goal and this has been the recipe of our success," says Balkrishna. The white dhoti-clad head honcho of Patanjali, who owns 96.8 per cent of the company's shares and is among the richest Indians, claims that he is least interested in creating wealth for himself. If Ramdev is the flamboyant face of Patanjali, Balkrishna is the backroom operations head who prefers to maintain a low key. He says all that he earns would be ploughed back into the business. "We keenly listen to the needs of people and come up with products that would help them lead a better life." Balkrishna's home, Kripalu Bagh Ashram in Kanhal, Haridwar is also understated. It is here that Patanjali made a humble beginning in 1995. Unlike the home of a typical corporate head honcho, there are no signs of opulence barring a couple of luxury cars parked on the campus - a Range Rover and an Audi (the Acharya quickly points out that they are not his but given to him by the organisation). Nestled in the midst of a sprawling herb garden, the Acharyas compound opens into a havan kund. After a havan at the crack of dawn, he heads to his rather nondescript looking study that is more like a storehouse of herbs. He formulates Ayurvedic remedies here that ultimately make their way into the products manufactured by Patanjali. 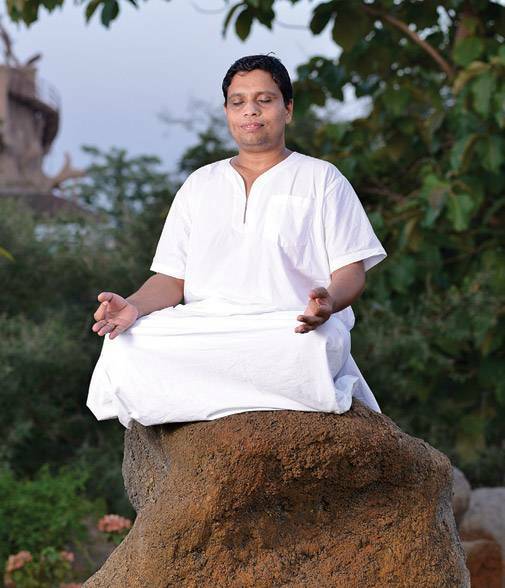 Unlike most corporate leaders, Balkrishna has never been to fancy business schools. He instead puts into practice the lessons of the Upanishads and the Vedas that he had learnt at the Gurukul. 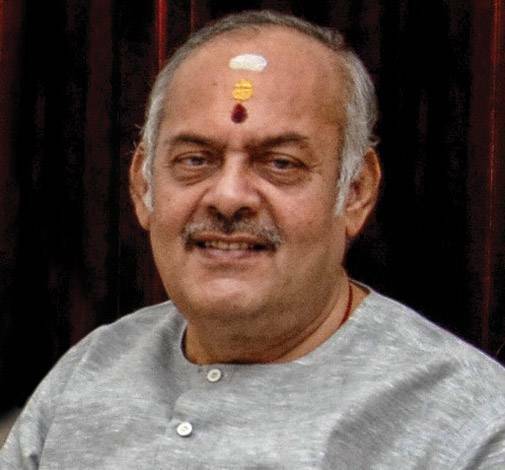 Acharyaji and Swamiji, as they are fondly referred to by their followers, started their FMCG and Ayurvedic formulations journey in 1990, when they set up the Divya Yog Pharmacy Trust. The trust conducted yoga camps across the country and also sold Ayurvedic medicines at these camps. "For Yoga, one doesn't need to invest in production but for ayurvedic products one needs to have a manufacturing unit. So, we formed a company as per the country's rules and regulations. 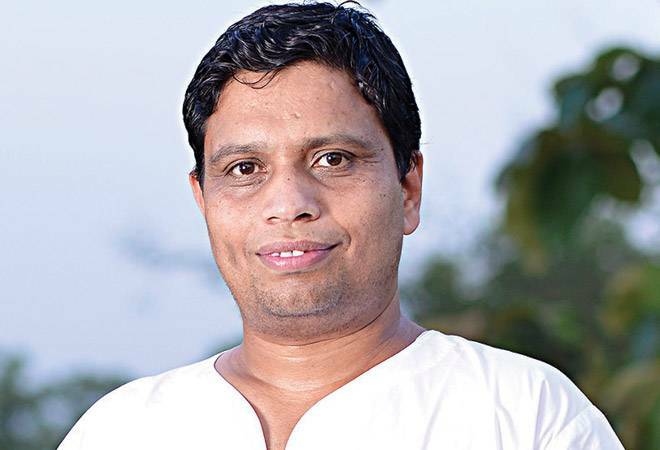 Our focus has always been on solving the problems of society," says Balkrishna. From a `400 crore business in 2011, Patanjali today has a whopping turnover of `10,561 (FY2017) crore. From Ayurvedic medicines to personal care products and food, Patanjali has over 1,000 SKUs (stock keeping units) across categories. Its products have become household names. The company, growing at a CAGR of over 100 per cent over the past three years, is the biggest disruptor in the Indian FMCG industry. It has been a wake-up call for the traditional FMCG giants including HUL, P&G and ITC. By offering products that are 15-20 per cent cheaper than those of the established companies, Patanjali has not just forced them to cut prices but also strengthen their product portfolio, especially in the naturals/Ayurvedic space. 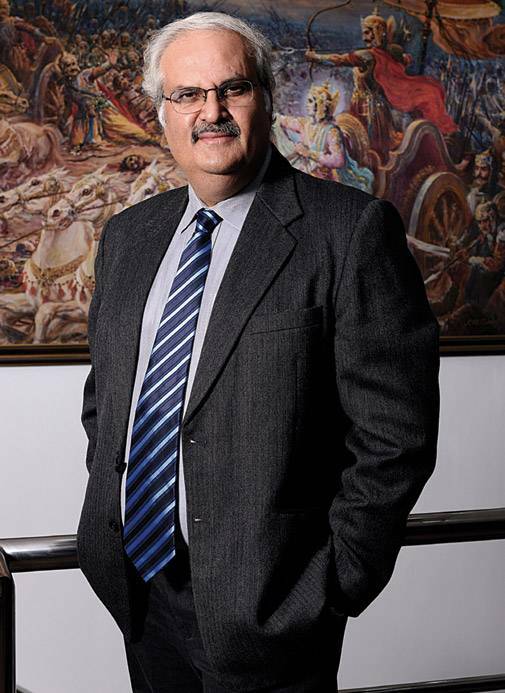 "The whole playing field for Ayurveda has expanded tremendously consequent to the entry of Patanjali as also a back to the roots mentality that has germinated amongst the consumer," admits Sunil Duggal, CEO of Dabur India. However, the fairy-tale run of this homegrown FMCG company, built on the proposition of offering superior quality swadeshi products at affordable prices, is beginning to face tougher challenges. A few months ago, some of its products came under the scanner for quality standards. Balkrishna claims that there has been zero per cent compromise on quality. "From procurement to production to selling, we do it ourselves. I don't think any company in the world does it. There will be adulteration only if we buy from others." All the same, the company has had to fend off some adverse publicity in the past few months. A few months ago the Government of Nepal banned six Patanjali medicines for failing to comply with microbial standards, the companys popular Amla juice was suspended by the defence canteen stores (CSD stores) for not meeting quality parameters. Earlier, questions were also raised on the purity of Patanjalis ghee and instant noodles. Balkrishna, in his defence, flaunts a host of national and international standards certifications his company has secured from the World Health Organisation. He says that despite the government not having standards or parameters for Ayurveda, his company hasnt taken matters lightly. "We automated ayurveda. We installed boilers to boil herbs and bought advanced machines to make tablets. We were the first factory to get WHO and GMP certification. We also got GLP and ISO certification. We have never compromised on standards," he says. Responding to product quality issues is routine for most consumer goods companies. "These quality issues are getting highlighted more because of their unbelievable growth story," says corporate lawyer Abhijit Joshi of Veritas Legal. Patanjali's problems with quality arent unique, agrees Pawan Agarwal, CEO, Food Safety and Standards Authority of India (FSSAI). "Food standards are set by us and all products have to meet them. For some individual food products there are no standards. In such cases, the ingredients that are being used in those products have to be safe," he explains. But the questions raised about Patanjali's quality have been higher than for some of its rivals. Consider this. The Maggi controversy was only the first time Nestle India faced quality issues in its almost 100 years journey in the country. Similarly, in the case of Cadbury, the controversy around its packaging has been probably the only major issue. To many in the FMCG sector, Patanjali comes across as an opaque brand that lacks transparency. After all, it took HUL over a century to cross the `20,000 crore turnover mark while Amul took over 60 years to get to its current turnover of `30,000 crore. Companies such as Dabur, Himalaya and Emami - direct competition to Patanjali because of their natural/Ayurveda proposition - have taken decades to even reach `1,000 crore. 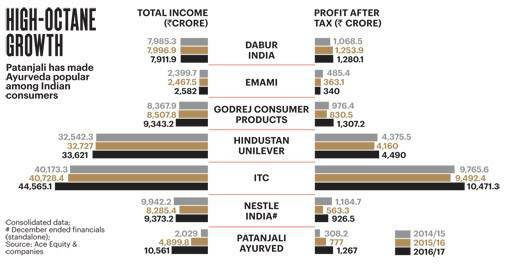 Today, Patanjali despite being an upstart, is already the third largest FMCG company in the country after HUL and ITC. How did Patanjali become a `10,000 crore in less than a decade? The company's exponential 100 per cent plus growth is unheard off. "When you trust a brand there should be lot of transparency. Patanjali is shrouded with mystery," points out Raghu Vishwanath, MD of brand valuation company Vertebrand. 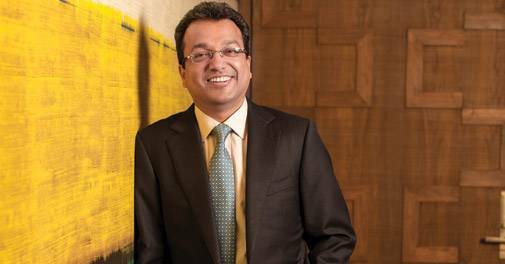 "One doesnt know the basis of growth, where the funding is coming from, and this is bound to have an impact on consumer trust in the long run," adds Arvind Singhal, Chairman, Technopak. The company's balance sheet does have a list of banks, such as HDFC Bank, from where the company has borrowed money, but the industry continues to question the growth numbers. It plans to invest in the region of `3,000-4,000 crore for capacity building this year, and most are wondering where the funds will come from. Balkrishna has an ambiguous answer to this but says funding is not a problem. He holds close to 99 per cent of Patanjalis shares but claims that he doesnt take anything back. "What will I do with that money? I have no family for whom I need to earn." As Balkrishna talks about his selfless way of running his business, a businessman walks into his office, falls at his feet and offers to invest `30 crore to set up a rice plant. The Acharya says that on an average he meets 200 people per day, many of whom are like this businessman. "I am happy to show you my balance sheet. Our goal wasn't to achieve turnover or profit. 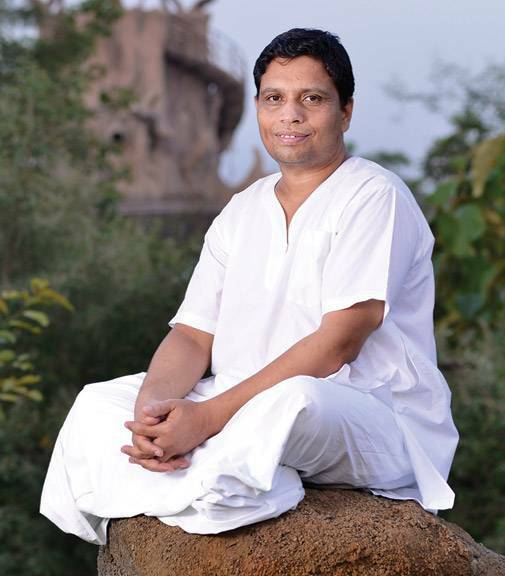 We started Patanjali to serve people through ayurveda and yoga and thats what we have been doing." The company's bewildering growth began from 2014. Indeed, in the past three fiscal years the company's bottomline has been expanding at a CAGR of 100 per cent plus - at `1,267 crore in FY2017, its profits are already more than a fourth of behemoth Hindustan Unilever (HUL). The Madhya Pradesh BJP government has given Patanjali 40 acres of land on the outskirts of Indore and batted for Patanjali to be sold at its fair price shops. The BJP government in Maharashtra gave 600 acres of land to Patanjali in Nagpur at a throwaway price of `25 lakh per acre(the actual market price is `100 crore per acre). Patanjali also unleashed a high profile advertising and distribution rollout drive. Patanjalis Chief Strategy Officer, Deepak Singhal, reiterates Balkrishnas claim of not being a budget driven organisation. "There is no dividend paid back to the stockholders, neither is there a profit motive. Whatever nominal bottomline is there, it has to be ploughed back into the business," he says. While Patanjali's revenue growth has been in triple digits, much higher than its peers, the company's operating profit margins and net profit margins are similar to competition. It's a consequence of Patanjali playing the high volume-low margin game. The Acharya also tries to put to rest the questions being raised on transparency. "Patanjali is the only brand which is transparent. There is one person (Baba Ramdev) who has taken full responsibility of the brand. No other company takes full responsibility of their products." Patanjali's expenses are not too much, explains Ravindra Chaudhary, Vice-President, Operations & Project, Patanjali Ayurved. "Our marketing expenses are quite low as Swamiji himself is our brand ambassador. Since we are the fastest growing company bankers are more than willing to give us loans. We also ensure that all our projects are completed on time. It helps in controlling additional expenses and you dont have to pay higher interests." A chunk of Patanjali's production is also known to be outsourced (wherein Patanajali merely lends its brand name) which again could help in minimising costs. "We control the entire value chain in order to ensure quality. We at the most outsource packaging of certain mass products such as atta and edible oil, etc. Therefore, not more than 10 per cent of the business is outsourced," says Singhal. Critics says that the company is growing so fast, it will be difficult for it to maintain product quality. "When a new entrant is growing so fast, it is difficult to assume that the quality will not be affected. Good, cheap and fast can't co-exist," says corporate lawyer Joshi. What surprises the industry is that the company on an average launches two-three products a month in all the categories it is present in. Patanjali believes in empowering its employees across levels and says with pride that a product idea can come from any level of the organisation. Their energy drink brand, Powervita, for instance, was conceived by a mid-level executive. It was ultimately value-added by Balkrishna with herbs and then tested in the lab before being rolled out in the market. The entire process from conception to final launch took hardly a month. Can a product rolled out in such a short span be effective? Most FMCG companies take upto a year to perfect and rollout a new product. The Patanjali team says that before rolling out a product they first test it on their employees. "If you make products that you can give your family members or kids, then you can serve it to anyone in the world," points out Balkrishna. He also says that since they have an Ayurvedic hospital on their premises, developing the right kind of product becomes easier as they have closer access to consumers. Other companies in the Ayurvedic/natural products space wonder how the company has sourced the raw material to scale up so fast. This is primarily because the ingredients that go into these products are most often difficult to source and are quite expensive. This explains why a bulk of the pure Ayurvedic brands - such as Biotique, Forest Essentials and Kama - play only in the luxury space. "When I make a product using four or five herbs it doesn't mean that it is Ayurvedic. Patanjali has very few classical Ayurvedic products. That's the reason they are able to sell them at mass prices," points out P.R. Krishna Kumar, CMD, Arya Vaidya Pharmacy Coimbatore. Ayurvedic and natural products also need a lot of research and development, which could take anywhere between one to four years. Ayurvedic brand, Biotique, for instance, has only 200 SKUs since its launch 20 years ago. In comparison, Patanjali already has over 1000 SKUs across categories within a decade of launch. "One can't run an Ayurveda business at a mass level," says Vinita Jain, Chairman, Biotique. The bulk of Patanjalis growth has come from the FMCG business. Barring Dant Kanti toothpaste, it's hero products are ghee and honey, which are not really Ayurvedic. In fact, Patanjali's Ayurvedic medicine business is now a relatively low key business. It's just a `850 crore business, while the lion's share comes from its `9,000 crore FMCG business. The doubts raised by rivals does not faze Balkrishna. He is all set to steer Patanjali to the next level. His target is a revenue of `20,000 crore in FY17/18. In fact, Ramdev has recently claimed that it will exceed the revenue of the `34,487 crore HUL, around for over a century, by 2019. However, Balkrishna does agree that the going wont be as easy. "The first `5,000 crore was organic growth, as we sold to people who knew us. Now we have to work hard. We have to plan our supply-chain, marketing and distribution. We are mapping demand and accordingly planning our production capacity." The company has recently set up manufacturing facilities in Tezpur, Indore, Nagpur, Noida and Vizainagaram. "We have also set up 30 smaller units for atta and oil," he says. A major challenge for the company is ensuring its availability in general trade. With biggies such as HUL (which is present in 7 million retail outlets) sharpening their focus on the natural/Ayurvedic space, it becomes crucial for Patanjali to strengthen its distribution. Today, Patanjali products are mostly available through its 15,000 stores, 200-odd mega stores, modern retail stores such as Big Bazaar and DMart and just about a million general trade stores. The plan now is to increase its reach to three million general trade stores. Patanjali has managed to get exclusive retail space in most modern retail stores. The company, says the CEO of a modern retail store, doesn't pay a penny for the branding given the demand for its products. However, FMCG veteran A. Mahendran, MD of Global Consumer Products, believes that Patanjali will have to take a serious re-look at its product portfolio. "The company has to select high growth rate and high margin segments and focus on them. Being present across so many categories can backfire in the long run." Technopaks Singhal agrees. "If you notice, most of the successful consumer product companies across the globe focus on limited categories so that they can make the most out of them," he says. In fact, among the 1,000-odd SKUs that Patanjali is present in, it is only in toothpaste (`940 crore) that the company has a reasonably high market share of 5 per cent. The other hero product, apart from ghee (`2,000 crore), is its hair care brand Kesh Kanti (`825 crore) that has a 2 per cent share in a `10,000 crore market. Its presence in most of the other categories is negligible and it is already looking at foraying into other businesses such as apparels and dairy. Later this year, the company will roll out its apparel brand, Patanjali Paridhan, with a target of doing a business worth `5,000 crore in the first year itself. Indeed, close to `4,000 crore of its FMCG business comes from just three products - ghee, toothpaste and haircare. FMCG experts, such as Mahendran, believe that it is these categories that the company should focus on growing rather than carpet bombing the market with all kinds of products. Moreover, a business such as dairy is a long gestation business. It took Amul over 60 years to reach its current position. Companies such as Britannia have lost lot of money in the dairy business and the recent victim is of course the French yogurt maker, Danone, which has exited the dairy business in India. Though Patanjali boasts of having its own gaushala and is also planning to set up its own milk procurement system, dairy will surely be a tough nut to crack. Balkrishna is confident about pulling it off. "We will soon become market leaders across categories," he says. But there are already clear signs that Patanjali's fairy-tale growth story is going sour. Two CEOs of leading modern retail companies, have confirmed that the sale of Patanjali products have dipped by over 30 per cent across categories in the last six months. "Most of the time they are out of stock or in certain categories we are stuck with stock which don't move. They have no system through which we can send the stock back," says the CEO of a leading retail company. "We had ordered 500 cases of atta, and they suddenly call to tell us that they can't cater to the order. It was a big cancellation." The owner of a packaging company, who doesn't want to be named, calls Patanjali the most undependable client. Many general trade stores, too, are getting disillusioned by Patanjali products. "Their margins are too slim," says Gaurav Shah, a kirana store owner in the western suburbs of Mumbai. Apart from distribution and margins, the big reason for Balkrishna and his team to worry is the pace at which the other FMCG giants are gearing up for battle. HUL, which typically takes anywhere between one to two years to research and finally roll out a product, has launched 12 new products this year under the Ayush brand. Similarly, Colgate, which lost at least 3 per cent of its market share to Patanjali, launched a whole host of dental cream variants to counter Patanjali. Other FMCG brands have added natural variants, too, to existing portfolios. Meanwhile, companies such as Dabur and Emami, that were already into Ayurveda/herbal, after losing out initially to Patanjali made a strong comeback as the Indian consumer started to take natural products manufactured by domestic companies more seriously. In fact, the stocks of almost all the listed FMCG companies have grown by 25 per cent in the last couple of quarters. These companies have also been consistently working towards re-inventing their organisational structure as well as investing on capacity expansion. In fact, most FMCG companies, post the demonetisation and GST lull, have bounced back. FMCG companies, as per a recent report by ICICI Securities, are expected to report an aggregate growth of 14.8 per cent in the third quarter of FY18 as opposed to a 5.2 per cent growth in the second quarter and 1.5 per cent in the first quarter. The report says that the lowering of rates of most FMCG products post GST has helped the cause along with improvement of rural demand due to good monsoons. All the leading FMCG companies which catered to semi-urban and rural markets through wholesalers have now started targeting these markets directly, surely a huge concern for Patanjali. Patanjali has definitely made Ayurveda fashionable and Duggal of Dabur credits Balkrishna and his team for it. "But we will be rivals. You buy his products because you think he is a great guy and you buy our products because you think there is great science in the box," he says. There is no doubt that Patanjali brought in the acceptance for Ayurveda at a mass level, says Harsh Agarwal, Director, Emami. "But having said that there was a trend towards naturals even before Patanjali came in," he adds. It is not just the established companies such as HUL or Dabur that Patanjali needs to worry about. There are a host of newcomers too. Patanjali's biggest challenger could be none other than his biggest supporter Kishore Biyani, CEO of Future Group, who is all set to scale up his own FMCG business into `20,000 crore entity by 2021. With mounting competition, the next level of growth for Patanjali isn't going to be easy. The Acharya, however, is confident about pulling it off. "Tomorrow when we aren't there, our philosophy will stand tall. Had we worked as per the demand of the market, we wouldn't have been able to achieve what we have." WhatsApp Holi stickers: How to download and send customised GIFs?